Fallout4 Nexus, Flipdeezy. 19 May 2016. Animated Beds - Proof of concept. 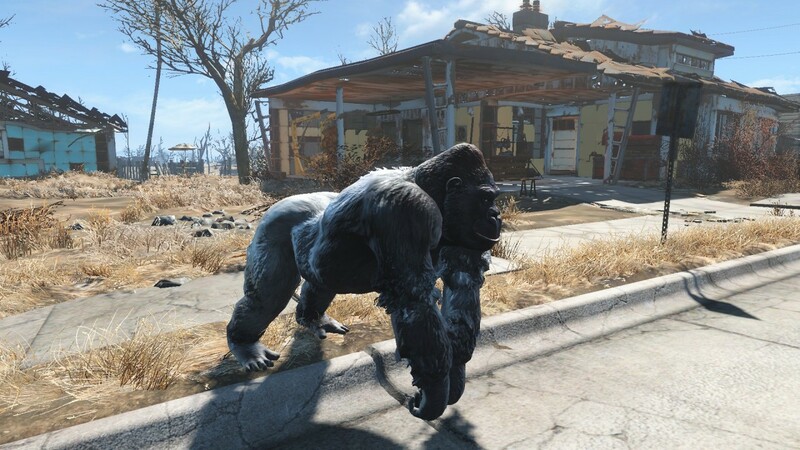 19 May 2016 <https://www.nexusmods.com/fallout4/mods/13729>. Fallout4 Nexus, falloutnewgeckman. 19 May 2016. Cuddles The Gorilla Companion. 19 May 2016 <https://www.nexusmods.com/fallout4/mods/13712>.